I love a mini lasagna “pie”. And now that there are a bunch of really great vegan cheese choices, this quick supper is a breeze. I made this the other night because my daughter wanted to make a full on cow cheese lasagna (she’s vegetarian, but unfortunately addicted to dairy cheese), and since I didn’t want it, I needed to cobble together a vegan version for me. As it turned out, everyone wanted to eat my mini vegan lasagna cups…which I pretty much knew would happen. Now, I want to be clear here – As a nutritionist, I try to create whole food recipes from scratch as much as I can, but sometimes, when I’m in a pinch, I’ll cheat by using pre-made sauces, and items such as won ton wrappers (not the healthiest thing in the world but once in a blue moon won’t harm). This delicious recipe also uses vegan cheeses, which I regard as a tasty treat because they tend to be pretty high in fat (but soooooooo yummy). 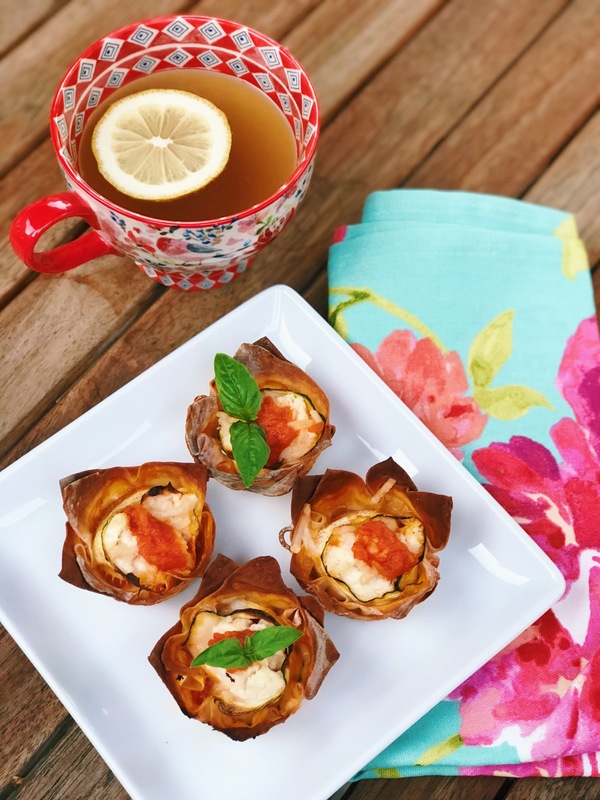 These Mini Vegan Lasagnas are also perfect for a picnic, dinner party appetizer, or to offer around as a delectable hors d’oeuvre. *Next time I do these I might have a go at making my own vegan won ton wrappers from scratch. It seems very simple! Pop in the oven for 18 minutes or until shell is crisp.